Great capacity! After two days of diapers, around 15, there is still space. Keeps in the smell, great colour! I love this bag. 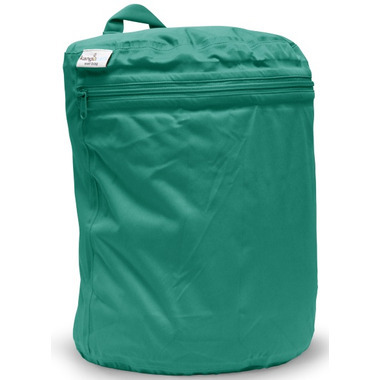 It's roomy (can hold more than 20 diapers) and does the job. Keeps the smell in but the mold out. Great size for daycare!!! Easily holds 6 used diapers for the day!